These types of videos have become all the rage lately, and rightfully so. They are simply stunning in their production quality and the overall content they capture. Little Big Berlin does a particularly good job capturing the human element found within cities. The video showcases Berliners functioning within their city. Many of the scenes are playful, but others are just typical day-to-day functions made intriguing by the essence of this videography. 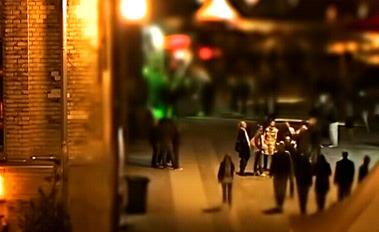 The video utilizes “tilt-shift” to create the miniature effect, and is set to the music of “Hungarian Rhapsody No. 2” by Franz Liszt. I do not know how to achieve this kind of product myself, but I do know that someone in Cincinnati needs to do this for our city.